The Mission of the College of Osteopathic Medicine of the Pacific (COMP) is to prepare students to become technically competent, culturally sensitive, professional and compassionate physicians who are prepared for graduate medical education, who are lifelong learners and will serve society by providing comprehensive, patient-centered health care with the distinctive osteopathic philosophy. This is accomplished through excellence in curriculum, translational research, service, and osteopathic clinical practice, and the enhancement of osteopathic graduate medical education. COMP and COMP-Northwest support the Western University of Health Sciences (WesternU) in its mission to increase the availability of physicians to serve the needs of the people living in the Western region of the United States. COMP provides the educational basis for internship and residencies in all medical specialties. The academic environment fosters respect for the uniqueness of each human being. 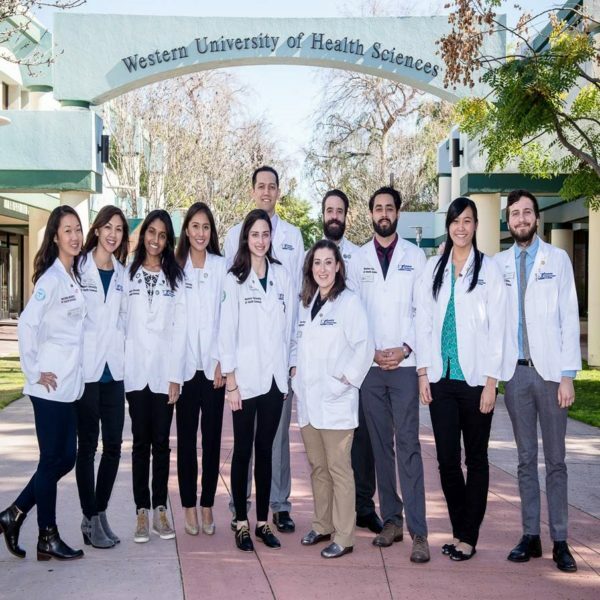 Students are prepared to function as competent, caring, lifelong learners with the distinctive osteopathic philosophy, and as leaders in interprofessional health care delivery. The COMP-Northwest campus addresses the health care needs of residents throughout the Northwest. We will achieve our goal of educating osteopathic physicians from the Northwest, in the Northwest, for the Northwest by attracting students with outstanding personal and academic qualities, and teaching them to recognize and develop the knowledge, behaviors, and skills necessary for the effective and compassionate practice of medicine. 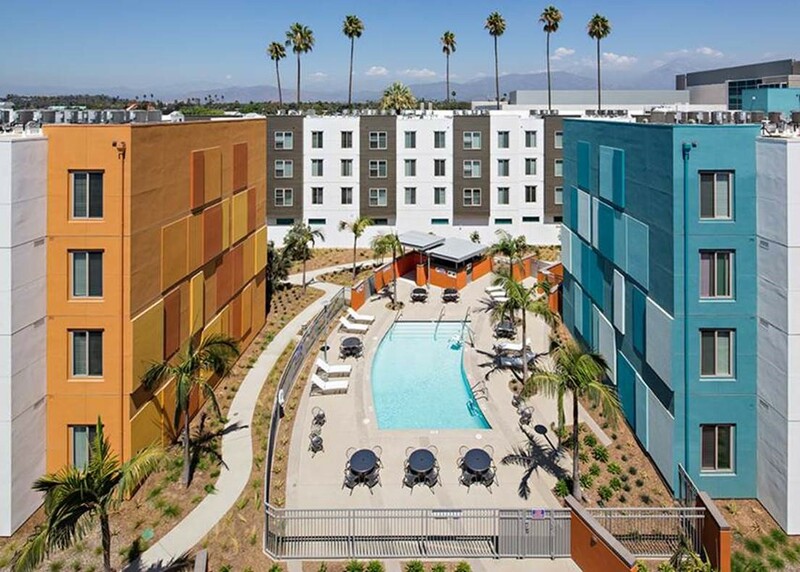 WesternU/COMP: Pomona, California; Urban area in Southern California. COMP-Northwest: Lebanon, OR; Rural/small town setting in the Willamette Valley of Oregon. 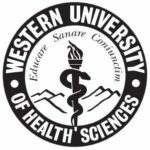 Western University is accredited by the Accrediting Commission for Senior Colleges and Universities of the Western Association of Schools and Colleges (WASC). WesternU/COMP is accredited by the Commission on Osteopathic College Accreditation (COCA). 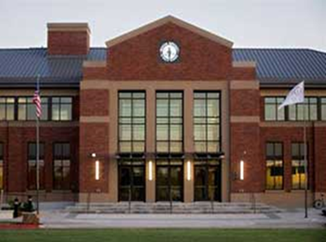 Western University/COMP is housed in a 180,000 square foot Health Education Center (HEC). It features auditoriums, classrooms, breakout rooms, teaching and research laboratories, conference rooms, and faculty offices. The 75,000 square foot Patient Care Center (PCC) meets the needs of residents of the Pomona Valley and serves as a training facility for the university’s students. Faculty and students from all health professions form an interprofessional healthcare team that evaluates patients with chronic systemic conditions such as diabetes mellitus, metabolic syndrome, and neurological rehabilitative conditions, to name a few. COMP students complete their rotations at some of the top hospitals in Southern California and the Pacific Northwest, including the university’s primary rotation sites: Arrowhead Regional Medical Center in Colton, PIH Health Hospital-Downey, College Medical Center in Long Beach, Garfield Medical Center of Monterey Park, and Riverside University Health Systems in Riverside. In the Northwest, students train at Good Samaritan Regional Medical Center in Corvallis, Mercy Medical Center in Roseburg, Rouge Regional Medical Center in Medford, St. Charles in Bend, Legacy Health Systems in Portland, and Franciscan Health Systems in Tacoma, WA. Southern Californians are fortunate to have beautiful weather and access to an abundance of local attractions and housing opportunities throughout Los Angeles County. 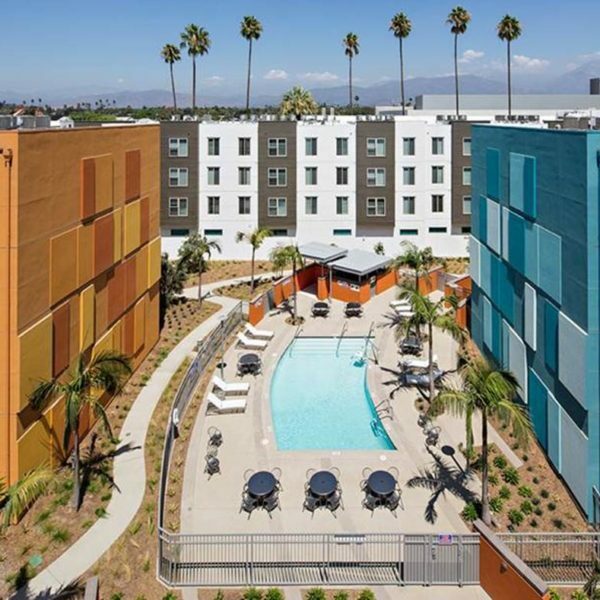 The Damier at WesternU is a unique housing option for WesternU students and is conveniently located adjacent to campus and was designed for our students in mind, offering high speed internet, study lounges, and a fitness center. Our COMP-Northwest students have many options near campus that they can call home. Lebanon is a great place to live with good prices on housing and a supportive community ready to welcome you. The curriculum at COMP is a four-year, full-time academic program leading to the degree of Doctor of Osteopathic Medicine (DO). The curriculum stresses the interdependence of the biological, clinical, behavioral and social sciences. The curriculum prepares students to practice osteopathic medicine across a full spectrum of specialties, with special emphasis on the maintenance of health and treatment of disease. The integrated and early clinical experience has proven to be extremely successful based on student assessments and national licensing exams. There are several ways a new physician may distinguish themselves early on in their career. DO graduates from WesternU who have also completed the MSHS degree report that obtaining the master’s degree led to a more successful residency match process. They also report a shortened pathway toward Chief Resident status and other leadership opportunities. The Health Professions Education track prepares physicians to teach in classroom and clinical settings. The Community Health Education track prepares physicians interested in Public Health to diagnose community-based problems, and to design targeted interventions to improve the health of communities. The MSHS degree may be completed concurrently to medical school, and is usually accomplished in two-to-three years’ time. A flexible schedule allows learners to continue even during clinical rotations. Each class meets one evening per week, and some 45 percent of the curriculum is offered online. The program is fully accredited and financial aid is available. Please contact the Department of Health Sciences www.westernu.edu/allied-health/allied-health-mshs/ (909) 469-3796 gevens@westernu.edu for information and assistance in obtaining your MSHS degree from WesternU. The MSMS program will educate students who intend to become physicians, dentists, podiatrists, physician assistants, pharmacists, optometrists and other health professionals in the research basis of medical knowledge and provide the analytic tools necessary to become well-informed, evidence-based practitioners. Qualified students who have obtained a baccalaureate science degree will be prepared in a unique, rigorous inter-professional environment for successful application to graduate professional programs, both external and internal, as well as for careers in teaching and industry. Secondary applications are sent to selected candidates. A review of the application takes place and candidates may be invited to an on-campus interview. Interviews are conducted and offers of admission are made on a rolling basis from August to March. Admission may also be offered throughout the summer. For best consideration, applicants should submit their application as soon as possible or at least before December, 2019. While Grades and Medical College Admission Test (MCAT) scores are important in selecting candidates for admission, the Admissions Committee recognizes that these statistics, by themselves, do not guarantee later success as an osteopathic physician. Therefore, the COMP Admissions Committee employs a holistic approach in which non-academic criteria are also important in making the selection. 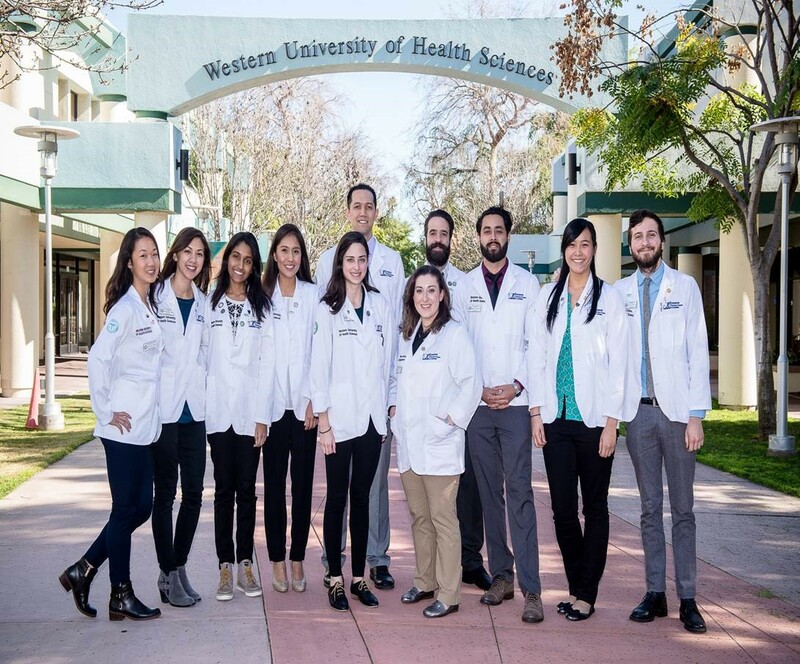 COMP seeks a diverse and balanced student population and considers factors additional to academic performance, such as a well-rounded background, work experiences, letters of recommendation, interest in and knowledge of osteopathic medicine, and professional promise. International students (non-U.S. citizens or temporary residents) considered: Select Cases. International students are considered for admission at the Pomona, CA campus only. The Lebanon, OR campus does not consider international students for admission. Oldest MCAT considered: Three years from the opening year of the application cycle. Completion of the supplemental application and required letters of recommendation. AACOMAS Fee Waiver and direct request to our school with appropriate documentation of need. Candidates are screened and competitive applicants are sent a link to the supplemental application. Our interviews are in the traditional format, a 3 person interviewer panel. The interview lasts thirty minutes. We also incorporate 2 five-minute MMI sessions. This year we may begin including the CASPer survey. Deferment requests are considered on a case by case basis by the Executive Director of Admissions.